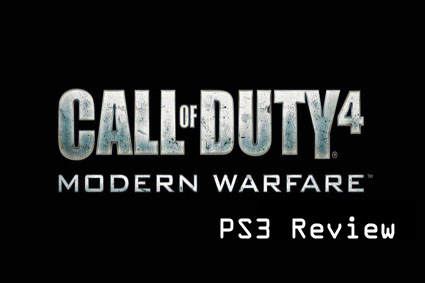 While Call of Duty 4 is indeed one of the best games of 2007, it does have its fair shares of online multiplayer quirks and foibles. Fortunately, Infinity Ward’s community manager, Fourtwozero, gave us a bit of a head’s up (registration required) concerning the upcoming XBOX 360 and PS3 patches. The XBOX 360 patch was recently sent to Microsoft for certification and should be hitting XBOX Live! sometime in the near future. As for the PS3 version, it is still undergoing testing, but should be sent to Sony for certification shortly. It’s been quite some time, but we finally have news concerning Call of Duty 4’s downloadable content for both the XBOX 360 and PS3. Unsurprisingly, we are going to be receiving additional maps. No word on what kind of maps they will be or how much they will go for, but one thing’s for sure, I’ll be passing on these maps. I’m not a fan of paying for maps which will inevitably splinter the player base; some will be able to play, some won’t. They should be available for everyone at some point in time, much like Halo 3’s Heroic Pack. Bungie makes a lot great decisions when it comes to online community and a lot of developers would do well by following their example. 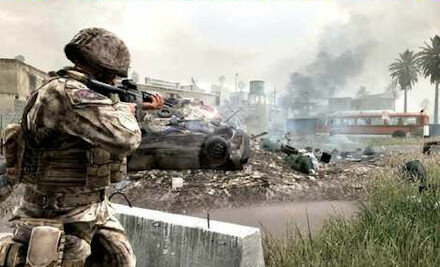 I have played Call of Duty 4: Modern Warfare on various platforms including the XBOX 360 (multiplayer beta), PC (single player demo) and Nintendo DS (for S&Gs). In the end, the only version I had my eyes on was the PS3 version for the primary reason of free online play since I do not have XBOX Live! Gold. Did it live up to my hopes? Definitely.